Jawa is a Czech Republic brand which was introduced in India in the late 1950’s. The earlier models used to be manufactured in Czechoslovakia and wore the ‘CZ’ Jawa emblem on its fuel tank. later those motorcycles which were manufactured in India wore the letter ‘O’ within their emblem. The Jawa motorcycle which was sold in India included the JAWA 353/04 designated as ‘A’ Type, Yezdi 250 designated as the ‘B’ Type, Jawa 350 type and lastly the 634 Twin and Yezdi 250 Monarch models. The company stopped production of their motorcycles back in the year 1996 in India. Later after almost 20 years, Mahindra planned to resurrect the iconic motorcycle brand once again. Classic legends which are currently owned by Mahindra group have reserved all the rights to sell Jawa motorcycle in India. They were teasing about the brand’s return for a long time now and finally unveiled the details of the new engine which will be powering the motorcycle and also its unveiling date. The upcoming Jawa motorcycle’s new powerplant will be taking some of its technical inspiration from the Mahindra Mojo’s 300 cc unit which powers the Mojo. 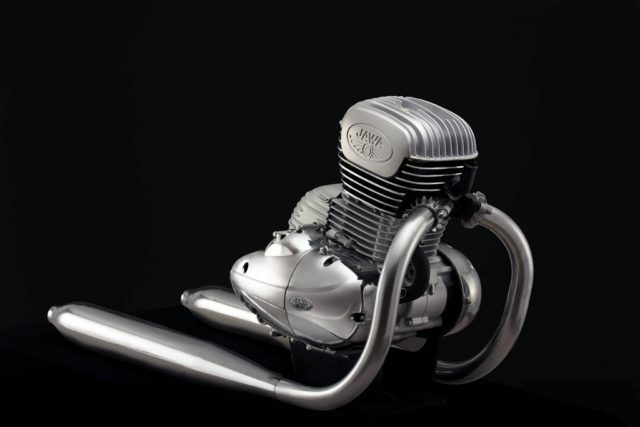 There is no doubt in the fact that the 295 cc unit is definitely one of the finest engines in its class. However, according to the reports, there is a slight difference in the displacement which means that the bore and stroke will also be different than that of the Mojo. The recent details state that the engine which will power Jawa’s new motorcycle is a 293 cc, single cylinder liquid cooled, fuel injected unit which is capable of producing about 27 Ps of peak power and 28 Nm of torque and will be paired to a 6-speed gearbox. 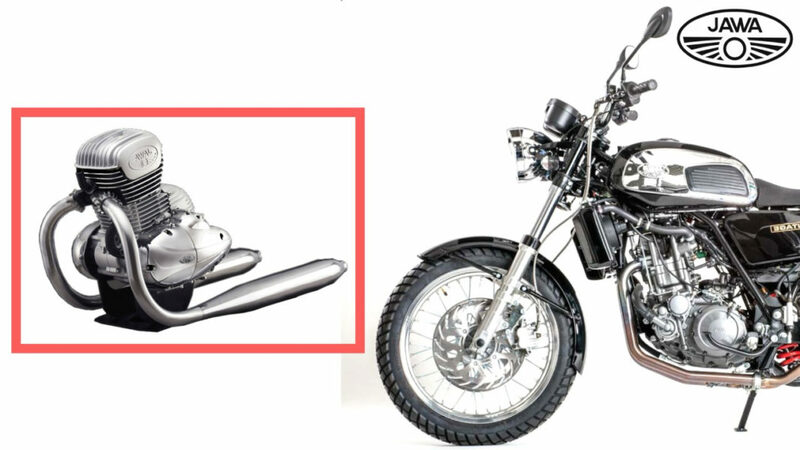 There are reports that the Jawa first motorcycle will carry a retro theme with it. Jawa was known for their unique Classic Roadsters when they were in operation. We are pretty sure they want to bring the classic styling back once again to let people know about their forgotten heritage. So you can expect their first motorcycle to be inspired by one of their retro motorcycles. According to few reports, online Jawa has received tremendous response from the dealer networks across India. Thus you can expect at least 100 dealers selling their new motorcycle in its initial days of launch. While you can also expect more dealers to join the network as soon as the sales start to kick off. Until now RE ruled the 300 to 500 cc category in India because they didn’t have any noticeable contenders to give them a tough competition. 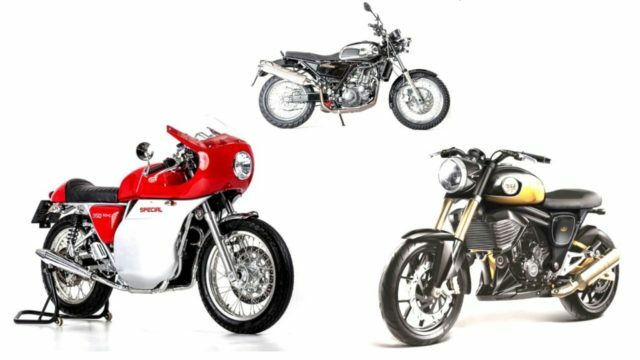 However, things are going to change soon Jawa who will be launching their retro-styled motorcycle will definitely give the RE models some tough competition. The main contenders of the Jawa 300 will be the Classic 350. Although we feel that you can expect much better fit and finish quality from Jawa Motorcycles for sure. Jawa will be unveiling their new motorcycle on 15th November 2018 and it will most probably go on sale before the end of 2018 here in India.